Although we as parents try to do everything in our power to protect our children, there are some things that we simply don’t have a lot of control over. One of the things that we don’t have a lot of control over is medical care. When our children aren’t feeling well for one reason or another one of the first things we tend to do is make a doctor’s appointment. We trust the medical professionals to do everything in their power to make sure that our children start feeling better as soon as possible. Unfortunately, there are times when a medical professional doesn’t do everything in their power, and instead deviates from what is known as the accepted Medical Standard of Care. Since they are not doing everything in their power to provide the best treatment, there is a possibility that your child may receive injury or harm, also known as Medical Negligence. Firstly, it’s critical to understand that a doctor has a duty to treat their patients using the Medical Standard of Care. This standard has been put into place in order to minimize any additional harm to the patient. If for any reason a doctor isn’t able to treat their patients to the best of their ability, then there is definitely a chance that the patient could receive some form of injury. 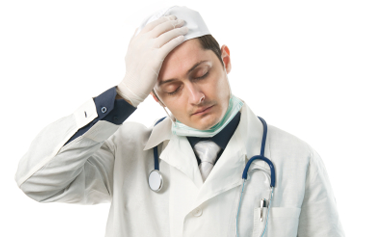 Many people tend to think that Medical Negligence and Medical Malpractice are the same thing. They are not. Medical Negligence can be defined as an act of treatment or an error in treatment by a medical professional to a patient that isn’t a part of the accepted Medical Standard of Care. Medical Malpractice takes place when this negligent behavior causes undue injury to the patient. Because children are too young to file a claim themselves, their parents are going to need to do this for them. And there doesn’t have to be any one particular type of injury that a child received due to negligent care. This means that claims can be filed on behalf of a child no matter what type of injury they received. It’s important that parents understand that no matter how small they think the injury is, it’s still an injury and the child should be compensated. In order to prove that the injury was received due to Medical Negligence, it must be proven that the standard of care given wasn’t the reasonable standard set forth, and because of this subpar care the patient has suffered some form of injury. So how do you go about proving this? You’re going to need to get some expert opinions. You can start by contacting those who can provide the necessary reports that state what the standard of care is in any particular hospital. You’ll also need to gather all of your medical records, which will need to be reviewed by a medical expert so they can decide whether or not the injury was indeed caused by receiving this inferior treatment. Even though we don’t have control over everything that occurs in our children’s lives, we love our children and therefore we’ll do anything for them that’s going to be in their absolute best interest. If you feel you’ve been harmed by Medical Negligence, the York Solicitors, Pryers, can help. They’ve been specializing in helping those who are suffering due to Medical Negligence for years, so they know exactly what steps you should take in order to win your claim.